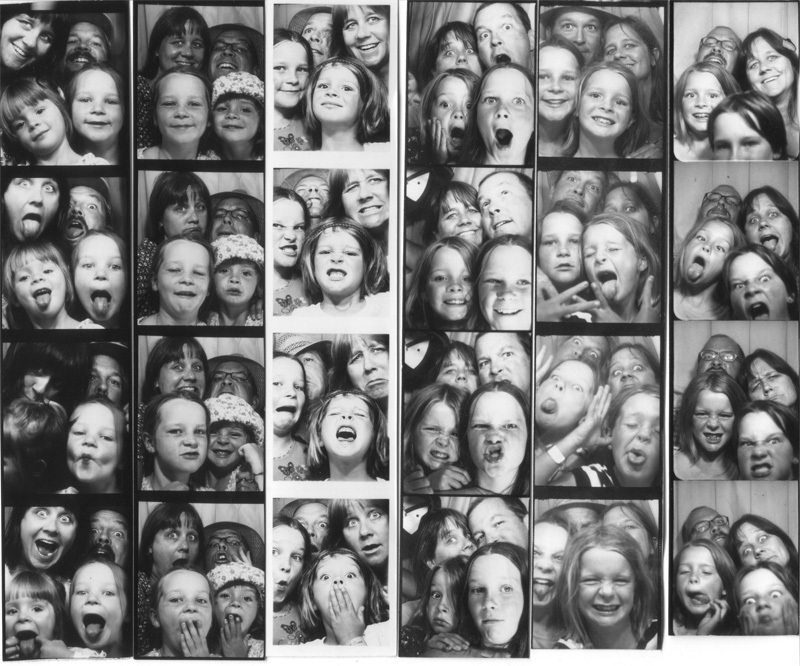 Gets tighter and tighter in that photo booth, every summer. But we keep at it. First on the left in the top row of four is 1996, and that top row goes through 2001. 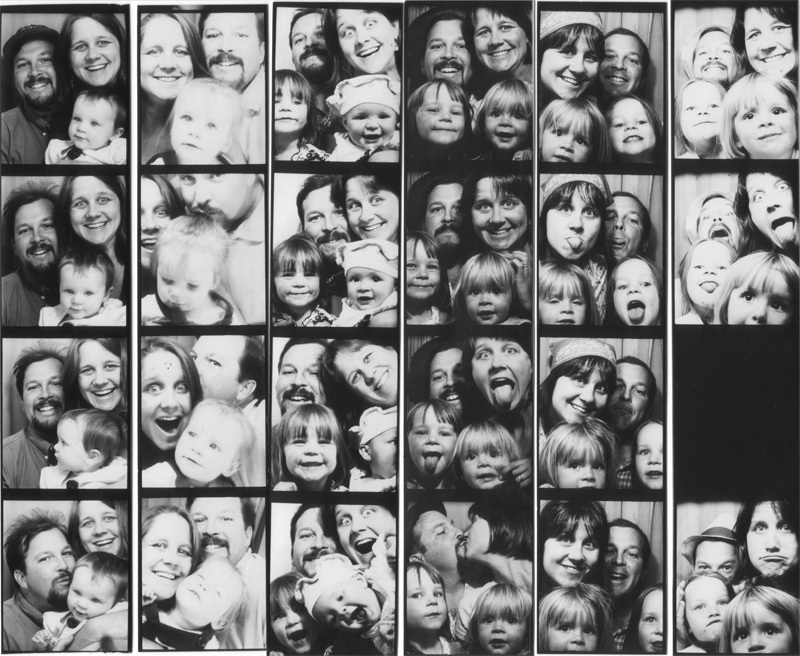 First on the left in the bottom row of four is 2002. The one next to it is either 2003 or 2004; the other of those years is missing. Then it's 2005, 2006, 2007 and this year.